It does look nice. I’m just browsing the web looking for ideas for my step-daughters also. They think I make to many blankets and quilts for our 2 year-old, so I wanted to do something special for them. 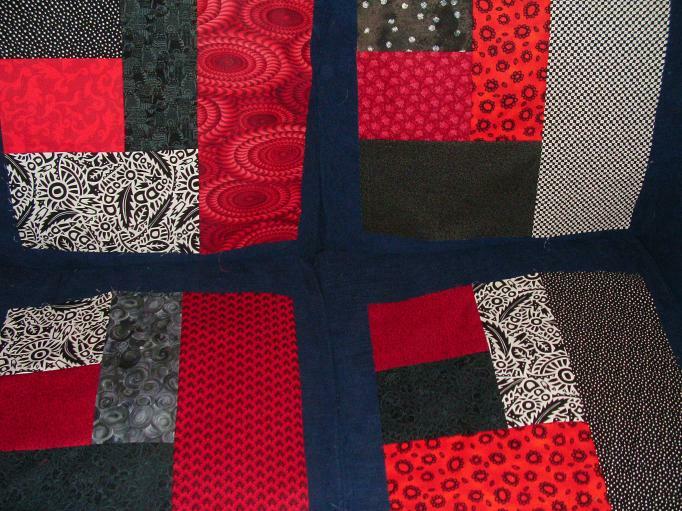 Once of my quilts is going to have blues, black and white. Similar to yours. Thank you, Heather! Your colour combination sounds lovely, too. I’m sure the girls will be very pleased with their new quilts. Take care.